kaiser is using Smore newsletters to spread the word online. I shall teachith thy reader about the sixith gradith. When you enter sixth grade I bet you are going to be really scared... That is TOTALLY FINE. Nobody cares anyway. Just make sure you are always prepared and you are ready, respectful, responsible. 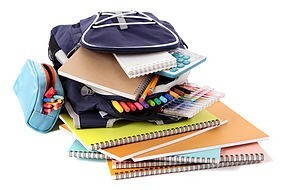 Having at least two pencils, a stack of paper and any extra stuff will definitely serve you well in sixth grade. Below see how to properly hold your Chromebook!